These are our five favorite V12 engines on the market. In the past, people who wanted the most prestigious car on the market would only buy V12s. A V12 was a symbol of wealth and opulence, and only the best cars in the world came with a V12 engine. 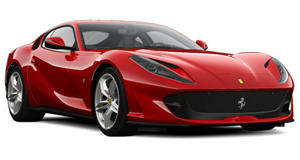 Nowadays, the V12 engine is dying due to emissions and fuel economy regulations. Smaller V8 engines are picking up where the V12 left off, and even four-cylinder engines are starting to impress us. V12 cars are not cheap to buy or cheap to fill up with gas, but there is still a reason why we love them so much. These are the top five V12 engines on the market today. The 812 Superfast may be the last naturally aspirated V12 that Ferrari makes. This amazing car has a 6.5-liter V12 with 789 hp and 530 lb-ft of torque. Not only is this engine the most powerful on our list, it also sounds fantastic at full throttle. The Lamborghini Aventador is getting a bit dated, but it still has one of the most impressive V12 engines on the market. 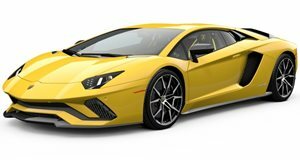 Lamborghini recently revealed the Aventador S Coupe and Roadster, which has a more powerful 6.5-liter V12 with 730 hp and 509 lb-ft of torque. 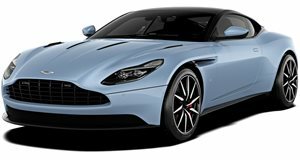 The Aston Martin DB11 is not our favorite V12 car, but we think that it may have one of the most important engines. The old 6.0-liter V12 is still one of our favorite engines, but dates back to when Ford owned the company. The new twin-turbo 5.2-liter V12 produces 600 hp and 516 lb-ft of torque and is finally competitive against other cars in its price category. V12 engines aren't just useful for amazing sound and performance. They are also one of the smoothest engine configurations. 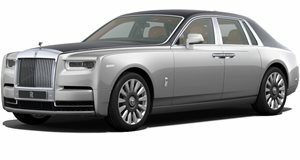 The new Rolls Royce Phantom will use a twin-turbo 6.75-liter V12 with 563 hp and 664 lb-ft of torque. Rolls Royce also makes a 6.6-liter twin-turbo V12 that produces 624 hp in the sportier Wraith. These engines are all about smooth power delivery, rather than producing the biggest numbers. We wanted to include the Rolls Royce V12 engines on this list because they are incredible, but in a very different way. The Mercedes S65 is the perfect example of why the V12 engine is dying out. The S65 has a 6.0-liter V12 with 621 hp and 738 lb-ft of torque. This is extremely impressive, but the S63 has a 4.0-liter twin-turbo V8 with 603 hp and 664 lb-ft of torque. The S63 is lighter, and is actually 0.4 seconds quicker to 60 mph. 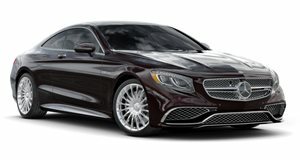 Mercedes still makes the S65 because for certain customers, only a V12 will do.